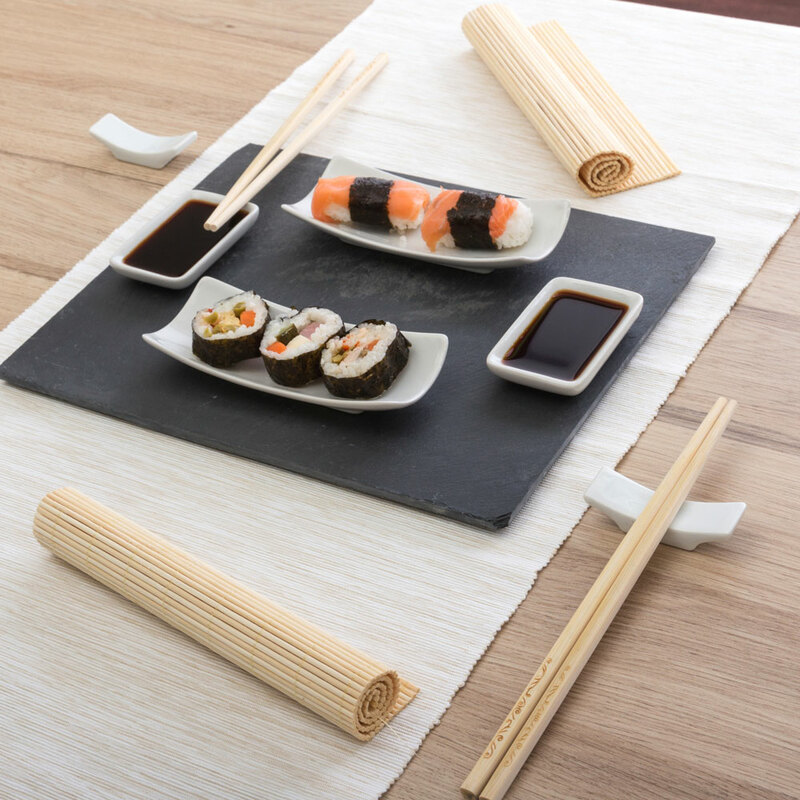 Sushi set with slate tray (11 pieces). 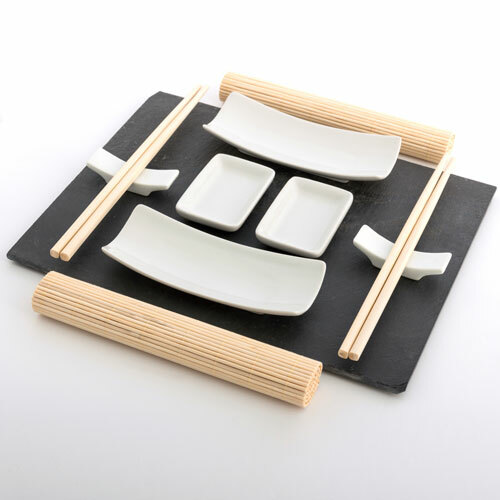 This exclusive sushi set includes: 1 slate tray (approx. 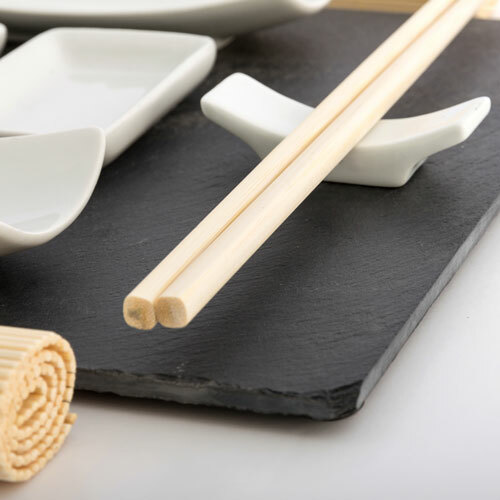 : 30 x 1 x 24 cm), 2 sets of chopsticks (approx. : 24 cm), 2 table mats (approx. : 25 x 20 cm), 2 sauce dishes ( approx. : 8 x 1.5 x 5.5 cm), 2 sushi plates (approx. : 15 x 2 x 6 cm) and 2 chopstick rests (approx. : 7 x 1.5 x 2 cm).